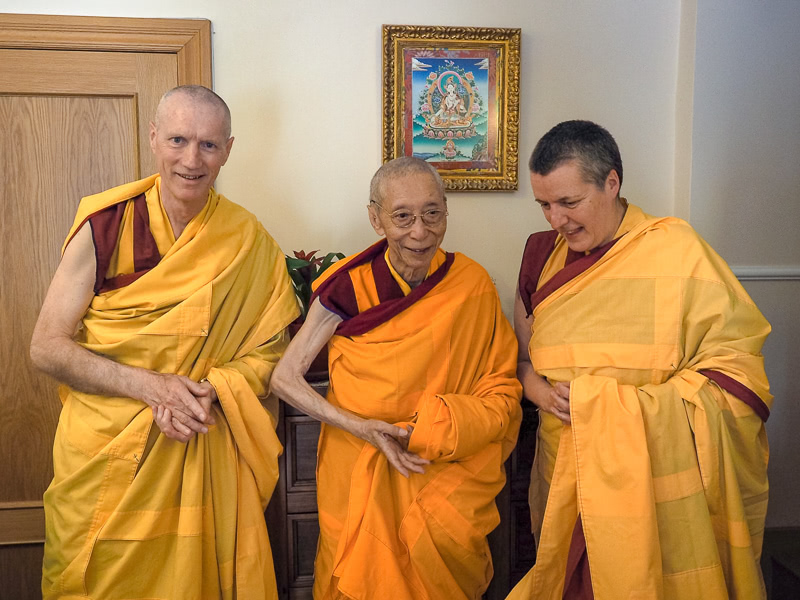 During the week of teachings and meditations, Gen-la Dekyong and Gen-la Khyenrab will pass on the precious transmission blessings and commentary of Venerable Geshe Kelsang Gyatso Rinpoche’s latest book, The Mirror of Dharma. to Gen-la Dekyong and Gen-la Khyenrab. With Venerable Geshe-la’s permission, they will pass on the precious transmission blessings and commentary at the Fall Festival.